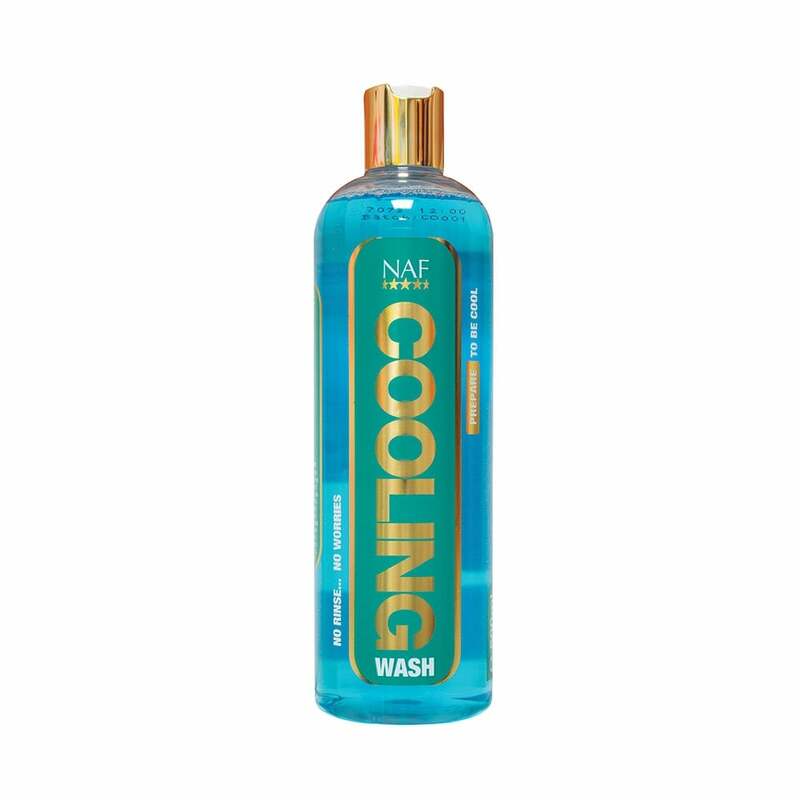 NAF Cooling Wash is a no rinse cooling shampoo for after exercise. Add a couple of capfuls of Cooling Wash to 5 litres of water and use to wash down hot, sweaty or muddy horses. Remove the excess with a sweat scraper and leave to dry. This low foam formulation does not need to be rinsed off. It is designed to cool and relax tired muscles.